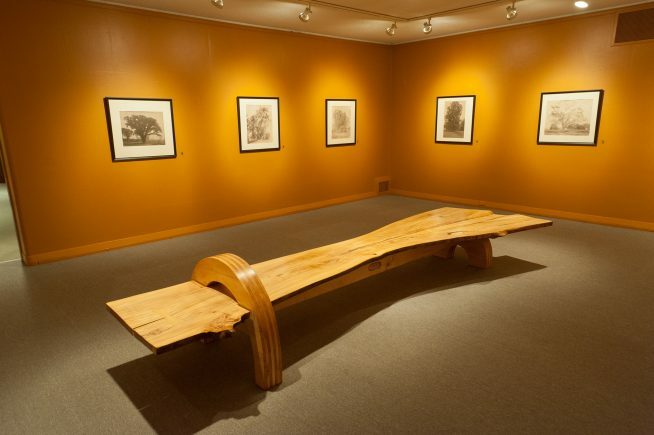 This bench is fabricated from the largest American elms in Connecticut, which had to be brought down in the fall of 2009 after becoming a hazard in its location. It comes from Suffield, just north of Bradley International airport. The tree grew on the Coulter property, a generational farm, which Norm Coulter, 87, still works today. We counted 148 growth rings with him when we examined the massive trunk.